If you’re anything like us, you’re already thinking of how you’re going to make the best use of your vacation and family time in 2019. How does a trip to the “Happiest Place on Earth” or one of Southern California’s beautiful beaches sound? Amazing, right? We may be biased, but we love living, working, and vacationing in Anaheim, CA! Being located near some of the biggest, best, and most exciting attractions in SoCal means there’s always something fun going on. We can’t wait for some of the awesome things that are in store, and we hope you’ll join us for some fun! Here are just a few of the new and exciting things to do in and around Anaheim in 2019! Calling all Star Wars fans! The highly-anticipated Star Wars: Galaxy’s Edge will be opening with all-new Star Wars attractions in Summer 2019. No dates are officially set yet, but if the videos and teasers are any indications, it’s sure to be worth the trip. Two of the mind-blowing major attractions — Millennium Falcon: Smugglers Run and Star Wars: Rise of the Resistance — were recently announced and put guests right in the center of the action. According to the release, legendary and Oscar-winning composer John Williams is also creating new Star Wars music exclusively for the Star Wars land to add to the magic and excitement. It’s going to be an out-of-this-world experience you don’t want to miss. Enter Anaheim Star Wars Quest – the Best Giveaway in the Galaxy for your chance to experience the magic for yourself. This one is for all music industry professionals! Featuring more than 7,000 brands, networking events, educational sessions, and exclusive concerts and experience, the NAMM Show is the place for music lovers and professionals. Organizers call it “the crossroads of music, sound, and event technology.” All members of the National Association of Music Merchants, as well as representatives and buyers from universities, worship facilities, and other venues, are welcome to attend. If you or a loved one is planning to tie the knot in the near future, then you have to hit up one of the Premier Bridal Shows in and around Anaheim. With a variety of top vendors and exhibitors highlighting everything from cakes and cosmetics to dance lessons and dresses, it’s an amazing opportunity for couples and their loved ones to dive into all things wedding-related. Get ready to take lots of notes and photos for inspiration! Check out all the bridal show dates and get ready to be inspired! 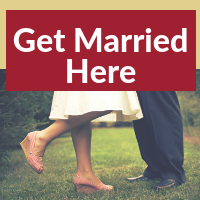 Are you engaged or planning a wedding? Our castle-themed hotel makes for the perfect fairytale wedding backdrop. We’d love to help you plan your dream wedding at Anaheim Majestic Garden Hotel. Do you have a sweet tooth? Then the LA Cookie Convention & Sweet Show in Anaheim is the place for you. Get ready to taste, see, and smell confectionary creations like never before. Seriously! Our mouths are already watering just looking at the Con’s Instagram page. To make the event even sweeter, this year’s LA Cookie Con is set to feature some of the most amazing pastry chefs and patissiers in the world — including Ron Ben-Israel, Adriano Zumbo, and Rosanna Pansino. “We’ve got spirit, yes we do! We’ve got spirit, how ‘bout you?” OK, that’s all we’ve got, but the talented cheerleaders and performers competing at the 2019 USA Spirit Nationals will blow your mind. With everything from game day cheerleading and crowd leading to pom, jazz, and flag, there’s a whole array of top talent on display. You don’t want to miss this spirited event. 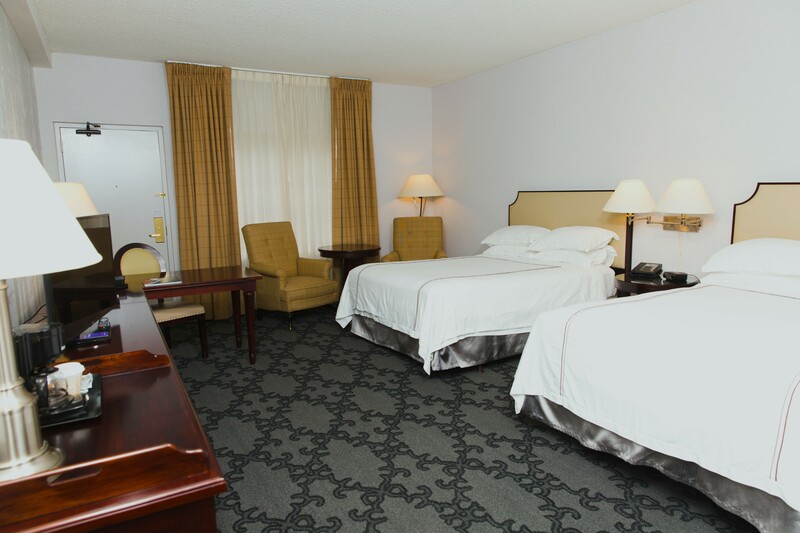 If you and cheer squad are making your way to Anaheim for the big competition, we’d love to be your home away from home. 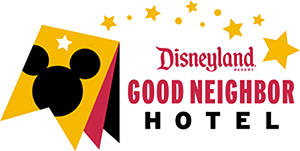 Check out how Anaheim Majestic Garden Hotel goes above and beyond to accommodate sports teams like yours! Everything you love about comics, anime, gaming, and pop culture comes together for one exciting event — WonderCon! The event, presented by Comic-Con International, will feature some amazing comics creators, writers, authors, and cartoonists, including Vita Ayala (“Supergirl,” “Magic The Gathering”), Gerry Duggan (“Deadpool,” “Infinity Wars”), Lee Weeks (“Batman,” “Daredevil”), Liam Sharp (“The Green Lantern,” “WonderWoman”), and so many more! Special guests and additional programming should be announced soon. Want to see the world’s best surfers all in one place? Then you have to check out the Vans US Open of Surfing this summer. The annual event, which brings together established and rising surfing stars, draws crowds of 700,000-plus for some mind-blowing shows and skills. If you love surfing, beaches, and soaking up the sun, this event is a must-see. If you’re looking for something a little more lowkey, there are plenty of options for some oceanside R&R, too. One of the best parts about visiting or living in Anaheim is that there are tons of amazing beaches in the SoCal area. From Newport Beach to Laguna Beach and more, you could make a whole vacation just out of enjoying our gorgeous coastline and working on your tan. If you’re a fan, creator, or brand representative that’s passionate about online video, then VidCon is the event for you this summer. Touted as a “community festival, creator conference, and industry summit all wrapped up in one,” VidCon is celebrating its 10th birthday this year, so it’s sure to be extra special. The event will bring together some of the most well-known creators and YouTubers, including Alex Wassabi, Hank and John Green, Michael Buckley, Charlie McDonnell, and so many more. With concerts, Q&A panels, meet and greets, movie nights, and fun events like VidCon Prom and The Night of Awesome, you’re sure to find more than enough to keep you busy. There are even three separate tracks — Community, Creator, and Industry — to help you get the most out of the experience based on your goals, background, and interests. The whitewater rafting ride at Knott’s, currently known as BigFoot Rapids, is getting a major renovation. Calico River Rapids, set to open in Summer 2019, will feature new animatronics, a new story overlay, and additional dynamic water effects. If you’re looking for a little summer adventure, here’s your chance. We’ve already talked about celebrating your birthday at Disneyland® Resort, but Disneyland’s birthday is pretty special as well. Disneyland® Resort officially opened July 17, 1955, and the rest is history! Along with comfortable walking shoes, some visitors opt to dress up in 1950s-style fashions to honor the year the park opened, and, of course, some opt for Disneybounding to mark the special occasion. There are generally special events and entertainment opportunities that may or may not be listed online, so be sure to check the events calendar regularly and pick up guides on-site. Crowds tend to be bigger this day every year, but worth it since there’s always a little extra birthday magic and merriment happening. The annual Fall Festival and Halloween Parade has been a beloved tradition in the SoCal area for almost 100 years and worth seeing if you’ll be in the area come fall. It generally draws 50,000+ attendees and includes fun activities like the Miss Anaheim Fall Festival scholarship program, a costume contest, the Halloween Pooch Pawrade, and so much more. The official date and details for 2019 haven’t been announced, but be sure to keep your eyes peeled. The seasonal favorite is expected to return in late October. There’s always a lot of spooky fun going on at Disneyland® Resort during the Halloween season, which makes fall a great time for a Disney getaway with family, friends, or your significant other. There’s a variety of spooktacular attractions, treats, keepsakes, and loveable characters that you can only witness during this time of year. While exact dates haven’t been set yet, happy haunts in both Disneyland® Park and Disney California Adventure® Park are set to return in September 2019, according to the website. Whether you’re looking to get the pants scared off of you or for more family-friendly Halloween activities, Knott’s Scary Farm and Knott’s Spooky Farm (geared for youngsters) are great options in SoCal in the fall. No official dates have been set for Knott’s Berry Farm’s 2019 Halloween events yet, but generally the festivities kick off in September. From trick-or-treating to haunted mazes to live shows, there’s some ghoulish fun for all ages. If you’re planning a vacation during winter break, Knott’s Berry Farm is also a great place to head to for some holiday fun. Knott’s Merry Farm is “a Christmas celebration for all ages” with festive decorations, snow in Ghost Town, and holiday crafts, entertainment, and food. No official dates have been set yet for holly jolly festivities, but mid-November through early January is expected. The holiday season is magical in and of itself, and so is Disneyland® Resort. Mix them together and you’re sure to have the most magical holidays ever! Disney takes the festive fun up a notch each year with special holiday parades, cultural celebrations, and food options, and more. If you visit during Christmas time, you’ll likely see carolers walking the streets, tree lighting ceremonies each day, revamped attractions and so much more! Disneyland® Park and Disney California Adventure® Park are must-see destinations during the holiday season but keep in mind that this is a popular time of year to visit, due to school breaks and vacation time so crowds may be larger. If you’re interested in a little food, entertainment, and history, be sure to check out the Packing District. There’s always something fun going on, especially at the Packing House, one of the last remaining citrus packing warehouses and a key part of the Packing District. Now historically preserved and a food hall, you’ll find delicious food and beverage options — from Indian to Japanese to Mexican to craft cocktails — alongside some great music and more. The House of Blues Anaheim underwent some big changes in 2018 when it moved from Downtown Disney to a new, much larger facility in the Anaheim GardenWalk. The new space, which opened in November 2018, can accommodate bigger shows, bigger crowds, and attempted to tackle some of the major customer complaints from the old venue (like sightlines). If you haven’t checked it out yet, it’s definitely worth going. There are already some great acts set to hit the HOB stage in 2019, along with some great American-style restaurant and drink options. We’ll see you at Happy Hour! 🎉 Angels Baseball is back in 72 days! 🎉 Join your Angels for 2019 Spring Training in Tempe, Arizona. Visit angels.com/spring to secure your seats today! Take me out to the ball game! Angel Stadium of Anaheim is home to the Los Angeles Angels, and it’s a definite must-see for all sports fans. Check out the 2019 schedule to see when the Angels will be playing at home. For a sports fan who really wants to make the most of it, you should consider an Angel Stadium ballpark tour. The 75-minute tour includes a visit to the field and dugout, access to the press conference room, and more! If you’re a hockey fan, there’s no better place to visit in Anaheim than the Honda Center — home of the Anaheim Ducks! The official schedule is available through April 2019 and makes for a great, family-friendly outing. From figuring skating to concerts, there are also a lot of other fun and exciting events scheduled at the Honda Center throughout the year that are worth the drive. Whether you’re looking for a Disney getaway, some R&R by the water, or some quality entertainment with family and friends, this list is just the beginning! Keep an eye on the calendar for even more exciting events in the Anaheim, CA area and check back here for official dates and updates as they’re announced!